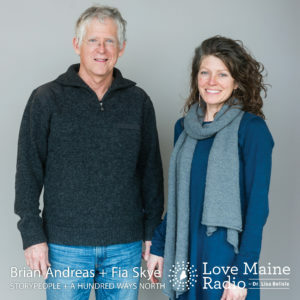 Today we speak with Brian Andreas, a master storyteller and creator of StoryPeople, and Fia Skye, a teaching artist and founder of A Hundred Ways North. We also speak with Kat Frati, the owner of grownUpgirl.com. For many years, Brian Andreas, the creator of StoryPeople, has been writing and creating stories in many different ways, through many different mediums. He’s been a playwright, worked with marble, mixed media, recycled barn wood, and has created tin sculptures and pen and ink and gouache watercolor prints. Fia Skye’s professional career as an actress and text/voice professor has allowed her to deeply dive into the intense study of human behavior, body, voice and believability in performance through theatre. 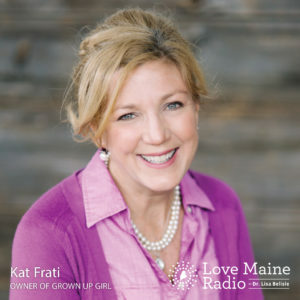 Kat Frati is the owner of Grown Up Girl, a blog dedicated to inspiring women of all ages to create sustainable happiness in their lives. 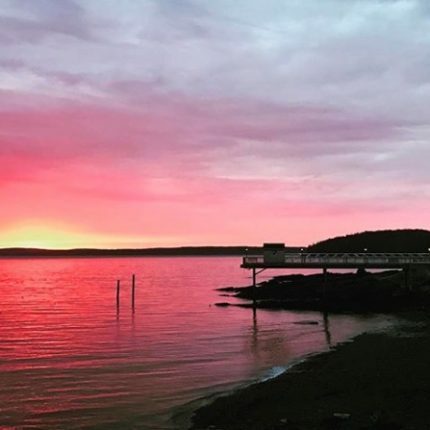 The site offers life advice through practical tips and inspiring stories by focusing on the themes of health, wealth, love, gratitude, and bliss. The remarried mom of four kids, plus two stepchildren, is a cancer and open-heart surgery survivor, entrepreneur, musician, athlete, cribbage player, and often blissed out. A former computer engineer who designed air traffic control simulations for the Federal Aviation Administration, Frati founded grownUPgirl.com in 2013. She’s currently working on a new initiative of building an online resource of life skills lessons for young adults.